Hugo will get two presentations at FMX 2012, the 17th conference on Animation, Effects, Games, and Transmedia, May 8-11 in Stuttgart, Germany. VFX supervisor Rob Legato and Ben Grossmann (Pixomondo’s VFX supervisor) will discuss the game-changing 3-D along with the VFX challenges of pulling off Martin Scorsese’s Oscar-nominated ode to Méliès. Then, Matthew Gratzner (New Deal Studios) joins Grossmann to dissect the impressive train sequence in a second presentation. While New Deal Studios created the train as a model both in the computer and on set before the crash was filmed, Pixomondo created further visual effects, which involved, amongst others, texturing the train and turning it into a digital model. Meanwhile, VFX supervisors Juri Stannosek (Pixomondo) and Rainer Gombos (HBO), who create the work for the medieval fantasy series Game of Thrones, reveal which visual effects await the audience in the 2nd season of the critically acclaimed show based on George R.R. Martin’s best-selling A Song of Ice and Fire series of fantasy novels. Christian Cordona (Look Effects) — one of the VFX supervisors who works on the American crime series Bones – imparts professional insights ranging from pre – through post-production. Bioware’s Technical Artist Luis Alonso illuminates how the Mass Effect trilogy has evolved since Mass Effect came onto the market. The final installment, Mass Effect 3, is highly anticipated by fans and experts alike. The third-person role playing game The Witcher 2: Assassins of Kings constitutes another gaming highlight at FMX. Lucjan Wiecek from the Polish video game publisher CD Projekt Red takes the audience on a journey into the breathtaking world of Geralt of Rivia, the Witcher. The traditional, annual FMX presentation of “SIGGRAPH Papers,” this year curated by Michael Goesele from the Technical University Darmstadt, is supplemented by a new series on “Eurographics Papers.” This is a scientifically oriented track in cooperation with the European Assn. for Computer Graphics, curated by Prof. Carsten Dachsbacher, who teaches at the Karlsruhe Institute of Technology. The following speakers have already confirmed their coming: Lars Krecklau (RWTH University Aachen), Diego Gutierrez (Universidad de Zaragoza), Kai Schröder (University of Bonn), Pascal Mueller (Esri Germany), Daniel Sykora (Czech Technical University in Prague), and Tim Reiner (University of Karlsruhe). Rango followed its Annies victory lap with four more awards from the Visual Effects Society (including Outstanding Visual Effects in an Animated Feature Motion Picture) at last night’s 10th annual VES Awards at the Beverly Hilton. 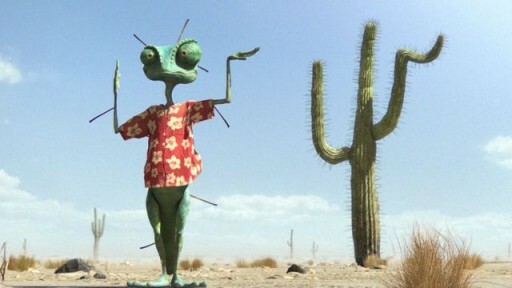 ILM’s Rango also won Outstanding Animated Character in an Animated Feature Motion Picture, Outstanding Created Environment in an Animated Feature Motion Picture, and Outstanding Virtual Cinematography in an Animated Feature Motion Picture. Hugo, Rise of the Planet of the Apes, and Transformers: Dark of the Moon all took home two awards in the Feature Motion Picture categories, while Boardwalk Empire and Game of Thrones each garnered a pair of awards in the television categories. Stan Lee received the Lifetime Achievement Award, thanking the VFX community for bringing his superhero characters to realistic-looking life, and pioneer Douglas Trumbull received the Georges Méliès Award at the show, extolling the need for more showmanship and VFX recognition for artists. The host was Patton Oswalt (who’s also on a roll after the Annies). Antonio Banderas, Lou Ferrigno, directors Chris Miller, Marc Webb, and Jennifer Yuh Nelson, and a host of luminaries were on hand to present awards. A surprise appearance by Martin Scorsese, whose Hugo received two awards, talked about his love of Méliès and working with VFX supervisor Rob Legato. Gears of War 3 – Dust to Dust: Niles Heckman, Richard Morton, Vernon Wilbert Jr. The first set of three concept images have been revealed, which merely bolsters the must-see factor. 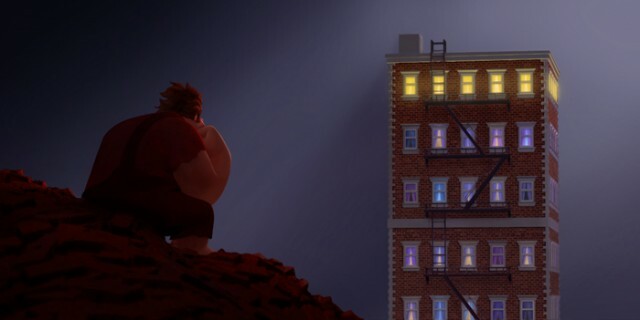 In the first image, the 9-foot, 643-pound Donkey Kong-like baddie (voiced by John C. Reilly) gazes on the building he’s supposed to destroy in the Fix-It Felix Jr. game. 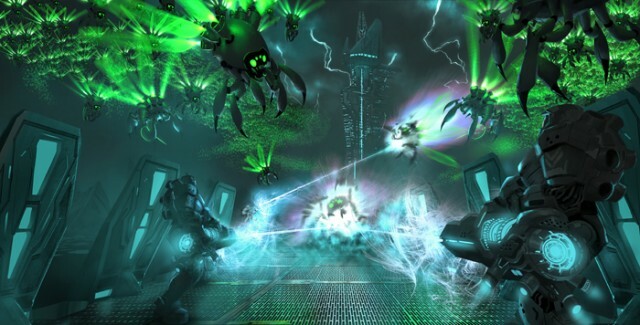 Then in Hero’s Duty (above), a Halo-inspired first-person shooter game, Sergeant Calhoun (voiced by Jane Lynch) recruits Ralph to help battle the alien invaders known as Cy-Bugs. 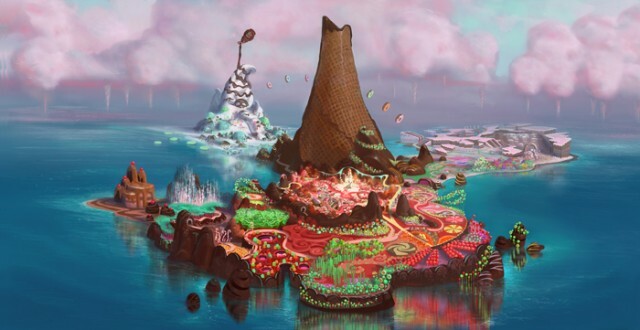 In the third image (below), Ralph enters Sugar Rush, a kart racing game set on tracks made of candies, cookies, and other confections. There, Ralph meets Vanellope von Schweetz (voiced by Sarah Silverman), who’s discovered that her game is plagued with a threat that could destroy the entire arcade, thanks to Ralph. FMX 2012, the 17th conference on Animation, Effects, Games, and Transmedia will take place May 8-11 in Stuttgart, Germany, with Autodesk as the first official partner, and such speakers as Transmedia pioneer Henry Jenkins, Nuno Bernardo, and Marek Koterski. Immersed in Movies is proud to be a media partner and I will be attending for the first time, and look forward to blogging about the presentations. Jenkins will provide a Transmedia overview, and Bernardo (founder of beActive) will discuss his very own interactive on-line series Sofia’s Diary — the first international series of its kind — in a track curated by Inga von Staden. Cloud computing trends will be a hot topic, curated by Ludwig von Reiche, senior director for business development of NVIDIA. There will be a focus on Canada, Poland, and the Baltics, including a presentation of Marek Koterski’s film Baby sa jakies inne executed by the post-production house The Chimney Pot. The Visual Effects Society (VES) announced the nominees for its 10th Annual VES Awards ceremony recognizing outstanding visual effects artistry in 23 categories of film, animation, television, commercials, special venues, and video games. 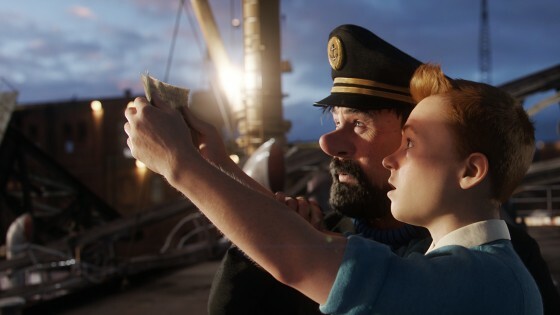 Steven Spielberg’s The Adventures of Tintin led the pack with six nominations for Weta Digital, including outstanding animated feature and three for environments. The nominees for visual effects-driven feature were Captain America: First Avenger, Harry Potter and the Deathly Hallows Part 2, Pirates of the Caribbean: On Stranger Tides, Rise of the Planet of the Apes, and Transformers: Dark of the Moon. The other nominees for animated feature were Arthur Christmas, Kung Fu Panda 2, Puss in Boots, and Rango. 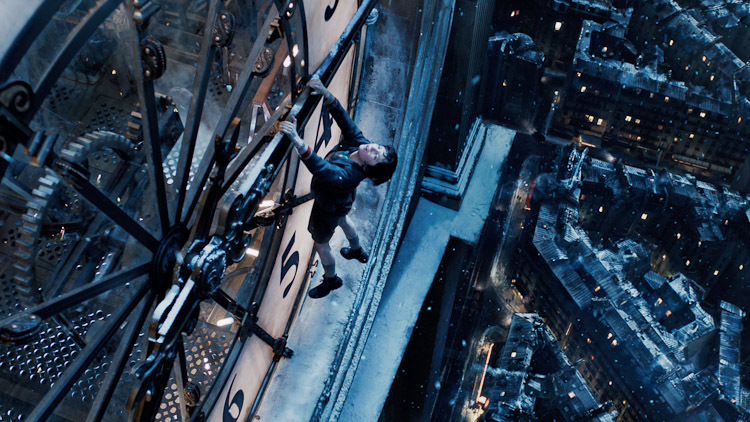 The nominees for supporting visual effects were Anonymous, Hugo, Sherlock Holmes: A Game of Shadows, Source Code, and War Horse. 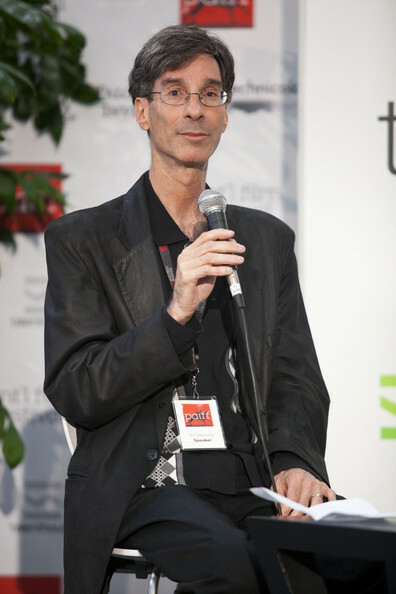 The big surprise is that The Tree of Life was shut out, especially considering the involvement of Douglas Trumbull as creative consultant, who’s receiving the Georges Méliès Award. Perhaps this has to do with the lukewarm response to the dinosaurs. This does not bode well for its VFX Oscar chances. Nominees were chosen Saturday by distinguished panels of VES members who viewed submissions at the FotoKem screening facilities in Burbank and New York, FotoKem’s Spy in San Francisco, and other facilities in London, Sydney, Vancouver, and Wellington, NZ. Along with Trumbull’s Georges Méliès Award, Stan Lee will be honored with the VES 2012 Lifetime Achievement Award. The 10th Annual VES Awards will take place on Tuesday, Feb. 7, 2012 at the Beverly Hilton Hotel and will air exclusively on ReelzChannel. For more information on the VES Awards, sponsorship, and tickets, please visit www.visualeffectssociety.com. Well, how fitting that on the same day that I spoke with Jennifer Yuh Nelson about directing Kung Fu Panda 2, that the DreamWorks sequel wound up leading the pack of Annie nominees with 12. And, with Puss in Boots grabbing nine (tied for second with Paramount’s Rango), it was a very good day for DreamWorks. Of course, we’ll have to wait and see what the impact will be on Oscar voting, but, for now, Yuh Nelson can bask in the glory of more epic and exotic Po. Special juried awards honoring career achievement and exceptional contributions to animation will also be awarded: Winsor McCay Award — Walt Peregoy, Borge Ring, and Ronald Searle for career contributions to the art of animation; June Foray Award — Art Leonardi for significant and benevolent or charitable impact on the art and industry of animation; and Special Achievement Award is given to an individual, individuals or a company for unique and outstanding achievement falling within the Annie Award eligibility period and not recognized within the existing award category structure. This year’s Special Achievement goes to Depth Analysis. The 2011 Annie Award winners will be announced at the 39th Annual Annie Awards ceremony on Saturday, Feb. 4, 2012, at UCLA’s Royce Hall. 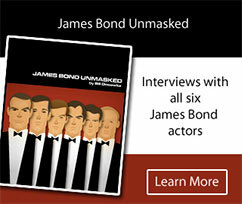 For more info, please visit www.annieawards.org. NVIDIA introduced the Maximus workstation, which brings together the power of an NVIDIA’s Quadro GPU and the new Tesla C2075 companion processor under a unified technology. With the support of HP, Dell, Lenovo, and Fujitsu, NVIDIA Maximus-powered workstations are now available to impact engineering and design workflows. See below how Maximus increases particle simulation in Autodesk Maya 2012 and performs rapid photoreal renderings in 3ds Max 2012. 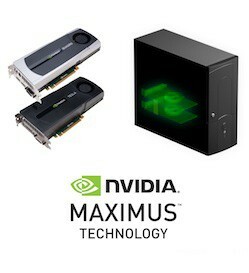 Learn more about NVIDIA Maximus technology at www.nvidia.com/maximus. 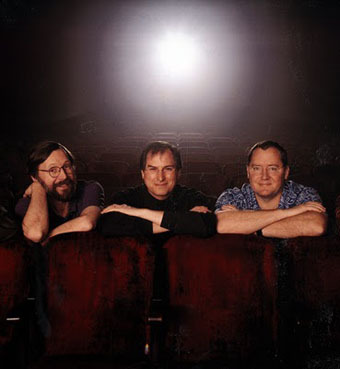 In this week’s TOH indieWIRE column, I elaborate on my memorable encounter with Steve Jobs and recap last weekend’s VES Production Summit and my casual conversation with John Gaeta at the Palo Alto Film Fest. Somehow it all fits. It’s always stimulating talking to John Gaeta. 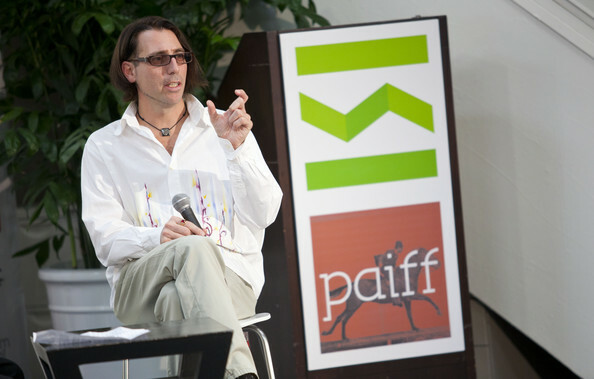 Yesterday, I got to do it publicly for an hour at the inaugural Palo Alto International Film Festival. Gaeta discussed his vision of “deep cinema” and more complete convergence with interactive media, the breaking of the fourth wall, if you will. He traced the pioneering experiments in photographic motion by Eadweard Muybridge (appropriately in Palo Alto and the festival’s iconic logo) to his “Bullet Time” innovation in The Matrix to the current Kinect work with games that he’s doing with motion sensing technology at his Float company in San Francisco. It’s Gaeta’s contention that while the movie industry is creatively stagnating, we’re on the verge of a new renaissance of technological innovation that will transform both movies and interactive entertainment into a deeper and more subjective experience within a decade. We’re talking holodeck with complete volumetric capture so viewers can watch from the viewpoint of the director or select their own individual perspectives. In other words, imagine going into the Matrix with Neo, or racing into the Photo Anime of Speed Racer, or being transported into the watercolor heaven of What Dreams May Come, let alone the dynamic world of Charles Foster Kane or the distant Pandora or some future universe conjured by a visionary director. But there’s a dark side to the technology, Gaeta warned: Your life is going to be metricized and monitored in every way by Big Brother. But such invasion of privacy he hopes will be halted. Time will tell what will be unleashed. The Visual Effects Society (VES), which represents approximately 2,500 VFX artists and practitioners worldwide, will hold the 10th Annual VES Awards Show on Feb. 7, 2012, at the Beverly Hilton Hotel in Beverly Hills. The Annual Awards show is where the most outstanding work in 23 VFX categories is presented and the artists who created them are honored. Meanwhile, in light of the recent open letter from VES exec director Eric Roth about the “unsettled” state of the VFX industry, there should be plenty of discussion and debate about jobs, healthcare benefits, and unionization/guild representation at the upcoming Production Summit (“Trending the Global Marketplace”) on Oct.1, from 9:00 am to 7:00 pm, at the Montage in Beverly Hills (http://www.visualeffectssociety.com/production-summit-2011). Among the confirmed speakers will be Ted Gagliano (president of feature post at Twentieth Century Fox), Steve Papzian (president worldwide physical production at Warner Bros.), Bob Pisano (president and COO, MPAA), Stephan Trojansky (co-founder Scanline VFX), VFX guru Doug Trumbull, Tony Wible (director of media & entertainment, Janney Montgomery Scott), and Tom Wujec (Autodesk fellow).